By September of 2015, the team had an initial design concept that they submitted to the competition’s first elimination round. This portion of the competition had a few thousand entries which were quickly narrowed down to a few hundred. The team then had to submit its design report for another elimination round which narrowed the number of teams down to 125. These 125 teams, which consisted of schools from 20 different countries and multiple different states were invited to the Hyperloop Design Weekend in January of 2016. At this event, the RIHT team presented its concept to the judging committee. Graeme mentioned, “Our team was fortunate enough at this event to win the Subsystem Innovation Award for our wheel system." 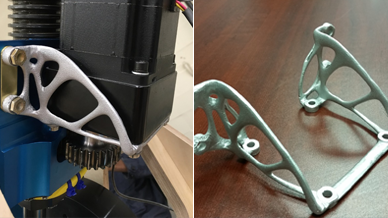 Once the design was complete, the team handed off the part’s design files to their partner Burloak Technologies, Inc. for the additive manufacturing. 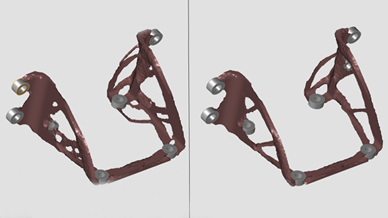 The final part was produced in AlSi10Mg and weighs in at over 70% lighter than the machine from solid bracket. 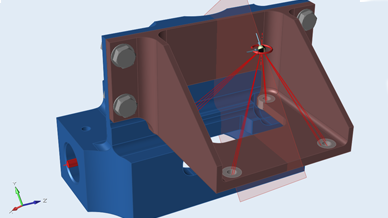 The part is not only significantly more efficient, but also allowed for a significant reduction in wasted material, approximately 53in3, per bracket. Design a deployable wheel subsystem similar to aircraft landing gear for a Hyperloop Pod that allows ease of movement at speeds under 100mph. 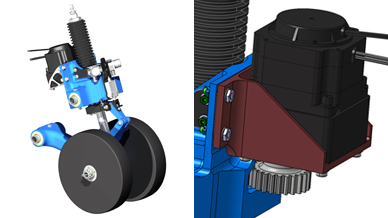 Redesign of a custom motor bracket in Inspire. 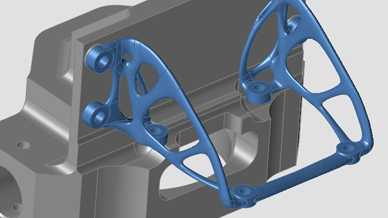 Bracket was specifically designed for and produced with additive manufacturing. Ryerson University is currently recognized as a leading institution for research and innovation, being ranked the top institution for undergraduate research in Canada in 2014. Within the past decade, the university has launched various research centres and institutes, as well as the Zone Learning option for students and business professionals interested in entrepreneurship. Ryerson’s location at the heart of downtown Toronto has motivated numerous strategic partnerships with surrounding businesses and spaces. The most significant recent development is the construction of four new Ryerson buildings: the Mattamy Athletic Centre at Toronto’s historic Maple Leaf Gardens, the award-winning Student Learning Centre on Yonge Street, the Ryerson Image Centre on campus and the upcoming Daphne Cockwell Health Sciences Complex.